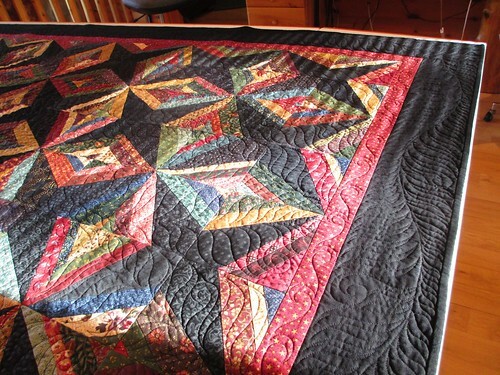 This entry was posted in String Quilt I. Bookmark the permalink. 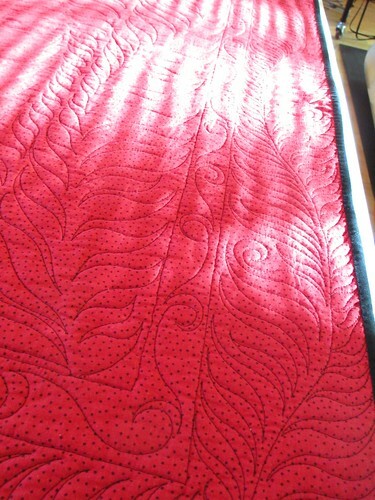 Yes, it turned out great and the quilting is beautiful. 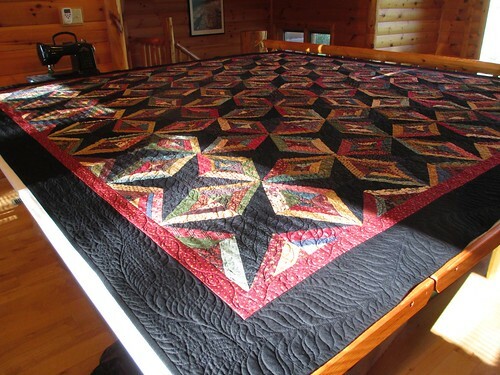 Do you use a home machine or a longarm? 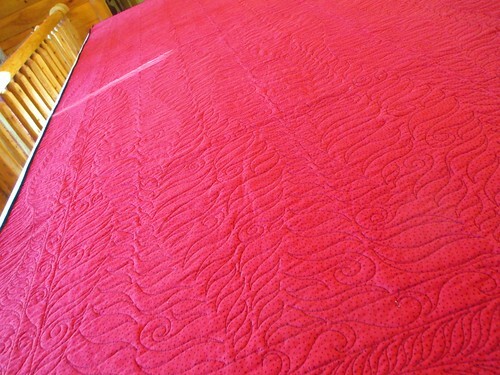 I use a stitch regulated Gammill 26-10 long arm machine. All the stitching is hand guided. Aha, that’s why the feathers are so big and free. It must be very liberating! If I would ever spend the night at your house, I would be like Goldilocs. This one is just right. 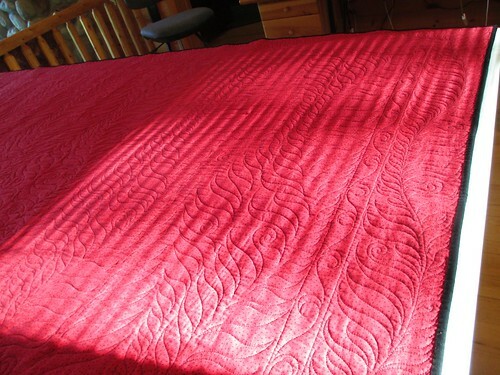 Your quilting just astounds me! The family portrait on Facebook was beautiful. ABSOLUTELY BEAUTIFUL ! ! ! ! The only issue I have with it is that it reminds me that I have that project in a tote that needs completion also. UGH….Seriously though it turned out FANTASTIC ! ! ! ! 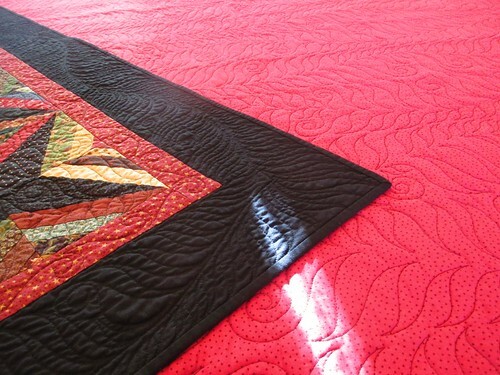 The quilting is amazing. 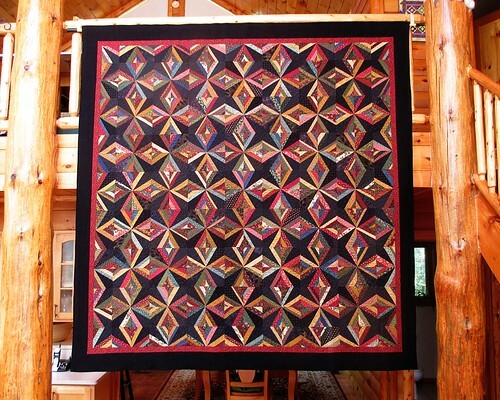 Very striking quilt, love how the black sets it all off.